We're all familiar with the heavy marketing and advertising that comes with the holiday season, and doing so in an unique way will help you to stand out. Q4 is a time to really hone in your online marketing strategies, using, and building on your current audience. Social media (Facebook - above all -, Instagram, Pinterest, Twitter...), email marketing and website retargeting should all be part of your campaign schedule. First of all, you should know that November is the hottest month for launching your Christmas campaigns. Statistically two in every four shoppers will begin their holiday research during November, according to a NRF Survey about Holiday Purchases. The goal of these consumers is to know what products they want, who they want to buy them for, and – most importantly – where they can find the best deals. Last year, the best buying day on Teezily.com was the 4th December. However, the span of days that stretch from the Monday before Thanksgiving and Black Friday to Cyber Monday, continues to exert a strong influence. 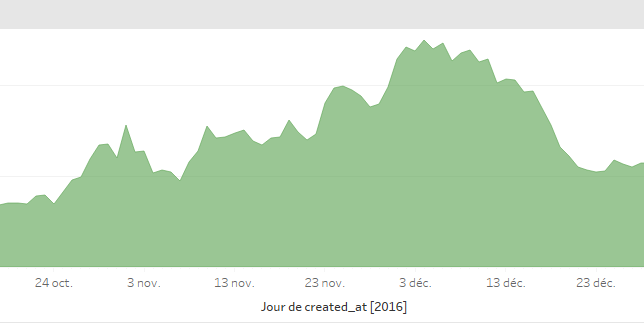 As you can clearly see “2016 Cyber Week” was a really intense period for sales (from the 24th of November): to make the same impact this year, read our article about optimising your sales during Black Friday and Cyber Monday of 2017. What we have learned from this data: the top 3 confirms the general consensus of 2016, but Brits and Italians are particularly active during the holiday sales. It is actually worth targeting these two countries while promoting your Christmas campaigns. What we have learned from this data: give a boost to your campaigns between 5pm and 10pm! These are statistically the best hours for social media communication and promotion. You can also consider scheduling your social networks’ feeds to announce new products, promotions or special discounts. We strongly suggest that you promote an early bird offer on the eve of Black Friday, Thursday 23th of November, and increase the daily budget for your FB ads. Be ready to adjust your pricing strategies in order to reach a broader audience. 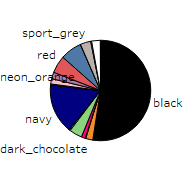 What we have learned from this data: black is the new … black. We knew it. As well as navy and royal blue remain the favorite nuances, no matter if it’s cold, warm, spring time… However, red and green enter in the “top 5” during the Holiday Seasons. Yes, you know what that means: Ugly Christmas Sweaters! Bottle Green & Red are definitely the Christmas colors, and they should be included in your exclusive campaigns. What we have learned from this data: even if it’s snowing outside, round neck T-shirts are still rocking the print-on-demand business. Why? Maybe because a T-shirt with a personalized, original slogan represents the perfect gift. Not a surprise: hoodies and sweaters are on the podium too, and you know that they will guarantee a better ROI for you. That’s why we strongly suggest that you choose a sweatshirt as the “preview product” on your campaigns. Maybe the customer will be driven to buy a T-shirt (or more) as well but you should definitely try to scale your profits by promoting the most rentable apparel. What we have learned from this data: finding the perfect niche is a huge part of the job, that’s why we invite you to a) test several audiences b) combine different niches. An example? 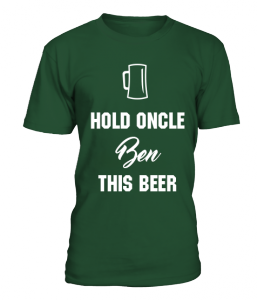 “Hold Oncle BEN this beer” (alcohol + family) or “Wolf from the Family Smith” with a GoT-style design. Anyway, it’s time to prepare your gifts and, of course, the niche “family” represents the best option to slay the christmas e-business. The “compare at price” feature, which will motivate your (potential) customers to immediately purchase your products, due to the special offer. The digital marketing platform VigLink comprised a survey of 500 consumers to determine their Q4 purchase preferences. 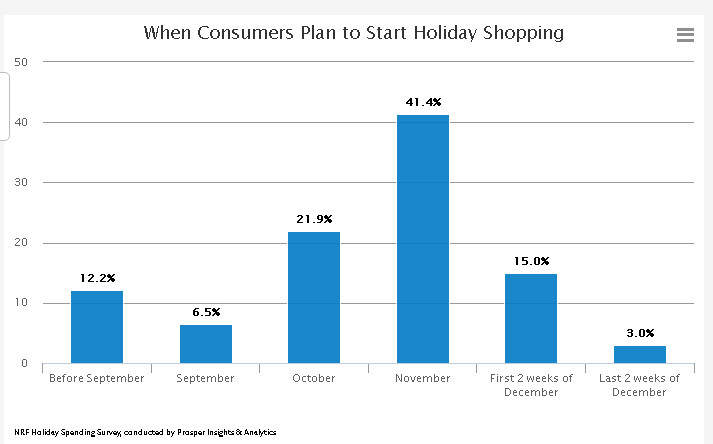 The largest majority of Viglink's survey respondents — 40 % — said that they will start shopping for the holidays in November, as our own data confirms. Plan smart, and plan ahead so you too can be successful this holiday season: it’s time to optimise your promotion strategies and - we cannot do anything but highlight it once again - go big in November. Start advertising early and invest increasing amounts of your time, energy and money towards making this shopping season a boom for business. And keep in mind that every season has it own trends and customer behaviour, keep on following our blog to discover the best selling opportunities in the business!